In 1984, after more than thirty years as the Baltimore Colts, the franchise moved to their present home in Indianapolis, where they began their tenure as one of the most successful NFL teams. In Game of My Life Indianapolis Colts, devoted fans can join their beloved team in the action on the field and behind the scenes in the locker room, as they relive many of the greatest moments in Indianapolis Colts history. Readers will relish tales of Colts’ glory through first-hand interviews with beloved players including Peyton Manning, Andrew Luck, Adam Vinatieri, Edgerrin James, and Marshall Faulk. 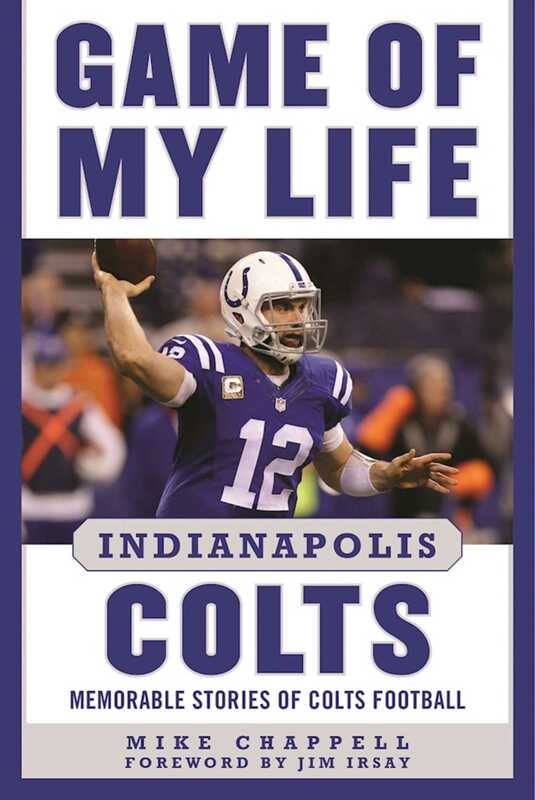 Within these pages, Colts expert Mike Chappell will take readers through the early years in Indiana, the major 2007 Super Bowl win under Manning, and their continued success with quarterback Andrew Luck. Over thirty years of Colt experience is represented here, making it a must have for every true fan. Mike Chappell has covered the Colts since their relocation to Indianapolis in 1984. He retired from the Indianapolis Star in 2014 but has continued to provide Colts content for various Indianapolis media outlets, the most recent being CBS4 and FOX59. He was on hand for their first training camp in Anderson, Indiana, their first regular-season victory, and their 29–17 win over the Chicago Bears in Super Bowl XLI that delivered a world championship to Indianapolis. He is a member of the Indianapolis Sportswriters and Sportscasters Hall of Fame.